JFE EH 500, JFE EH 500 Steel Plates, JFE EH 500 Suppliers, JFE EH 500 Abrasion Resistant Steel Plates Stockists, Manufacturer, Mumbai, India. Aspirinox Alloys Inc supplies word class abrasion resistant JFE EH 500 Plates. Based in India, Aspirinox JFE EH 500 Plates meet the standards of the international product. They have a high weldability and have passed heat impact testing. It includes chemical elements like Manganese, Carbon, Silicon, Phosphorus and Chromium. JFE EVERHARD 500 plates have a higher thickness suitable for heavy pieces of machinery such as excavating cranes, and tonnage ships. The core strength of JFE EH 500 Plates is unmatchably providing sturdy infrastructural support. Alloy metals are minimum in the EH 500 Plates, but Boron content is signification making them hard. The JFE 500 stand harsh industrial environment, such as low temperatures up to – 40°C. These advanced plates withstand high impact forces. 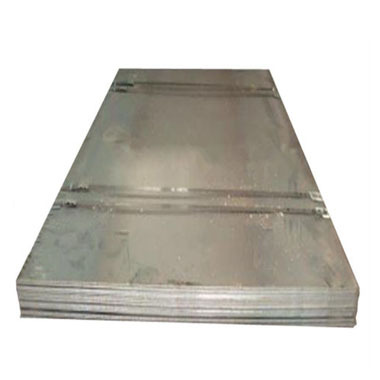 JFE 500 EH plates have welded joints safety increasing crack resistance. JFE 500 Abrasion- Resistant Plates applications include chemical, automotive, cement and mining industries. Mining drills, infrastructure, bulldozers, concrete turbines, ship material, coke conveyor, and gas washing scrubber are some equipment made using JFE EH 500 Plates. Customers can order the alloy composition to suit their needs. Being triple abrasion resistant JFE 500 Plates are lightweight and cost-effective. Call us now today to get your price quote now! Specifications for JFE EH 500 Plates. If any specification is not mentioned here, please use the contact button for quick quote. Contact us or click on the below button to request a latest JFE EH 500 Plates price list. Aspirinox Alloys INC is dedicated to providing the world-class JFE EH 500 Plates that cater to all your demands at very competitive rates.